Kids will remember the fun and adventure they had for years to come when they have the Legend Silver from PlayStar in their backyard. It features two play decks connected by a fun to crawl through or hide in adventure tunnel. 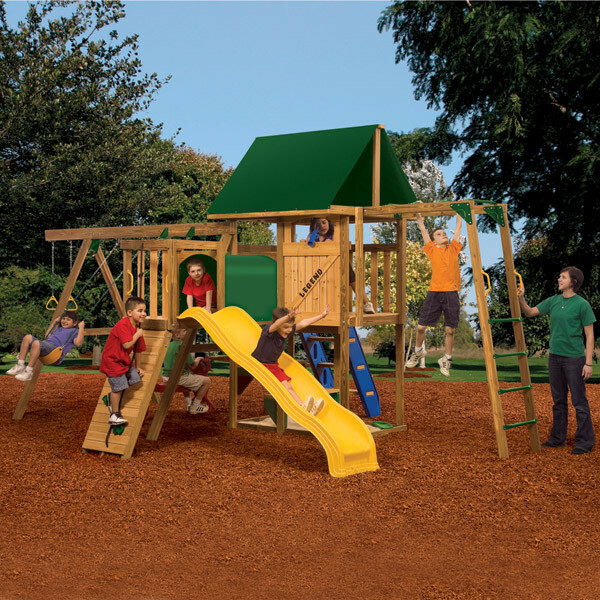 They can climb up to the play deck and clubhouse using the climbing steps or the imaginative rock wall with a climbing rope. Going down the quick sccop wave slide or swinging across the monkey bars will bring them back to Earth. Once there they can swing on the standard swing, bronco rider, or gym rings. Kids who love to dig will enjoy the sandbox under the clubhouse. 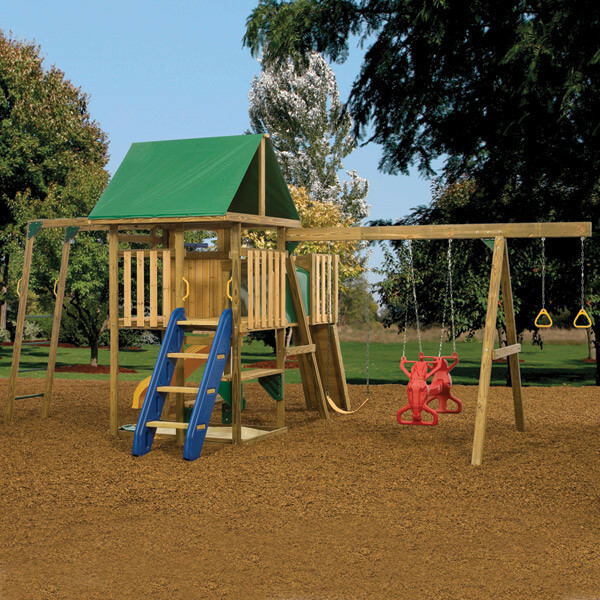 All of this comes in one easy to assemble play set that comes with all of the lumber, hardware, and illustrated instructions you'll need for completion. While you will need a few additional boards to complete the climbing steps and monkey bars, all of the main lumber comes pre-cut, pre-stained, and marked with numbers for easy identification. Everything needed to build set as shown ñ hardware, brackets, anchors, etc. 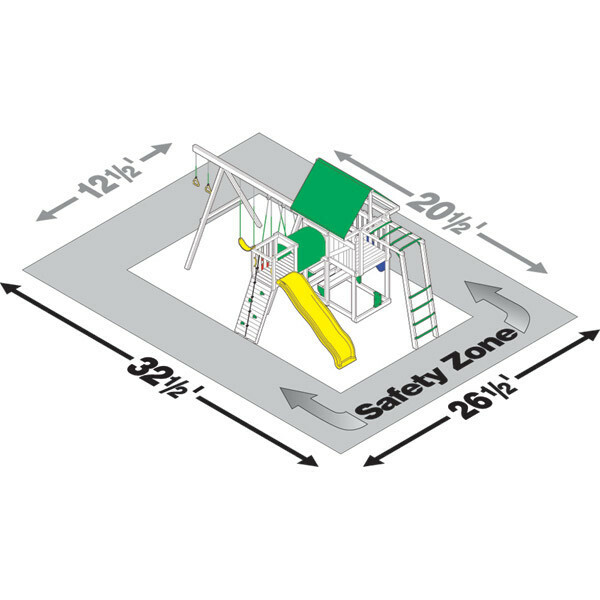 *Three additional 2" x 4" x 8' boards and one additional 2" x 6" x 8' board are required to assemble the Monkey Bars and Climbing Steps.